If you're seeking the perfect romantic dining experience for your honeymoon, be sure to make reservations for a dinner at Rossellini's - arguably one of the most romantic spots we set foot in on our Italian travels. Expect to walk in to the tune of live music and definitely order a bottle of champagne to set the right tone for an evening celebrating your love. The menu is of course, the main event. 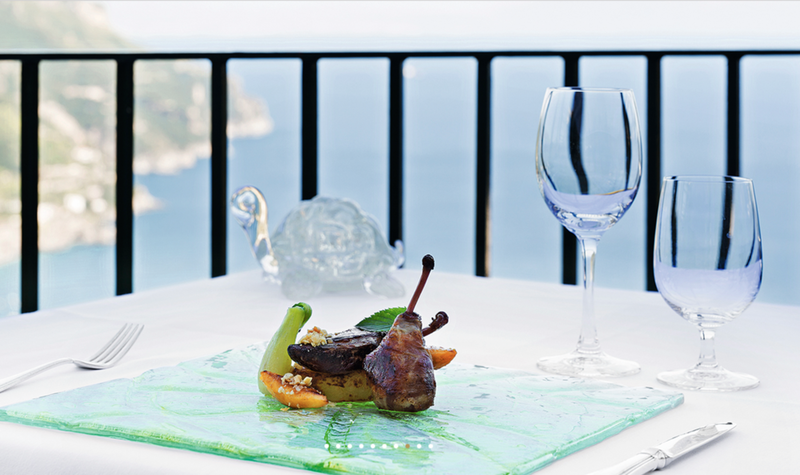 Ensure a light lunch before indulging in an extravagant six plus course of heavenly Neapolitan cuisine with a creative flair.